Happy Easter everyone! Thanks once again for dropping by and I hope you all had a fantastic and festive holiday. Our day over here couldn't have gone better and I'm excited to share with you the few little Pixar items I may have gotten from the Easter bunny this morning ;) Look for those in the coming days! Today I'm showing off yet another awesome men's tee I purchased recently from Fifth Sun (following the Pizza Planet shirt from last week). If you follow my Instagram, you may have seen that this post was supposed to go up on Thursday. Sorry for the delay! I got hit pretty hard with an awful cold and then it was the weekend full of work, holiday prep and family events. Thanks for always hangin' tight...I'll be caught up again soon. Anyway, back to the tee. 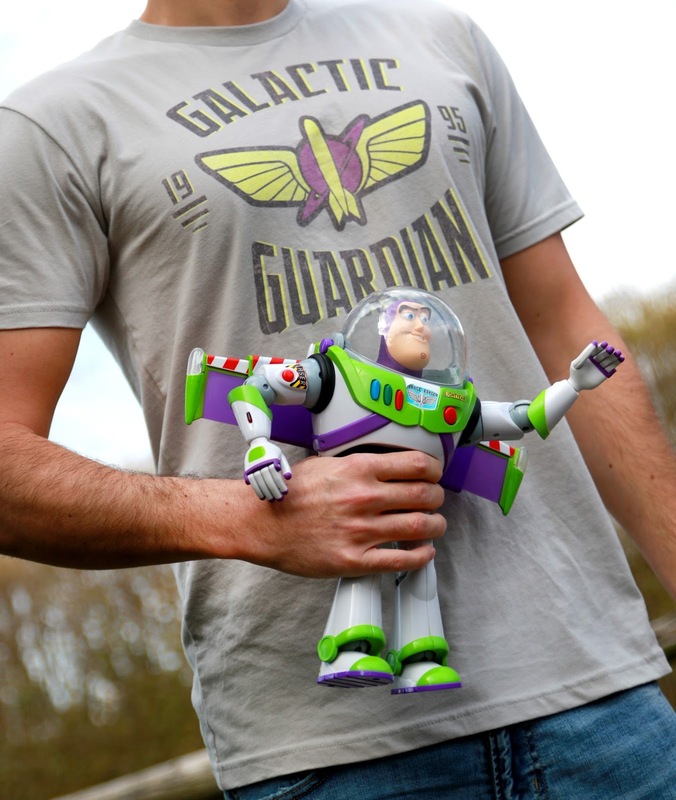 This officially licensed Toy Story inspired (100% cotton) "Galactic Guardian" t-shirt is just too cool. This was yet another surprise gift chosen by my wife Brita and I'm so glad she picked this design out. The classic and iconic Buzz Lightyear/Star Command logo is front and center with the the text "Galactic Guardian" and "1995" also featured prominently (of course a call back to the year Toy Story was released theatrically). The graphics are simple and minimal—just how I like it! This shirt ended up being very true to size and is, once again, soft, lightweight and fitted. I love the unique grey, purple and yellow color scheme as well! I definitely don't have anything else like this one in my collection and, overall, I have no real complaints here; just a solid new tee which I'm sure I'll be sporting consistently in the coming summer months. You know I'll be busting it out in Disney World in a couple weeks, that's for sure. 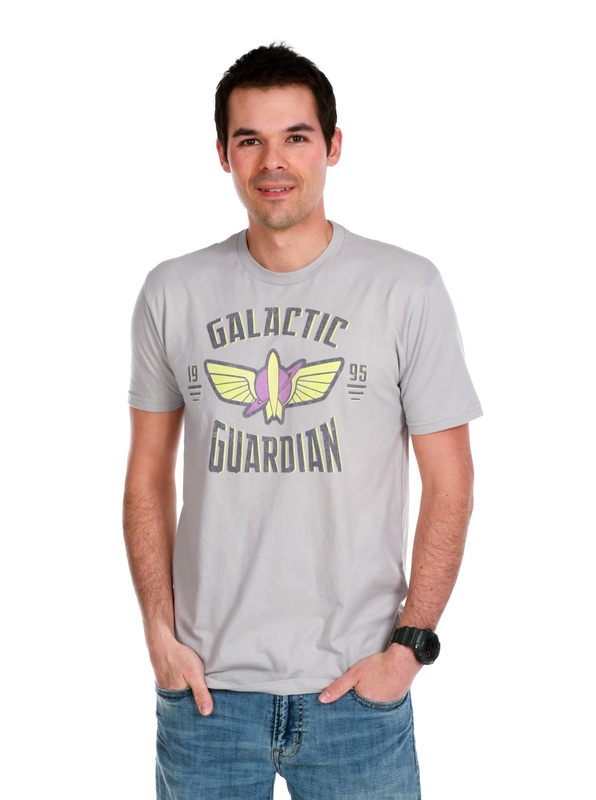 I can't believe it has taken me this long to get clothing with the Star Command logo on it. It's totally essential for all us Toy Story diehards! 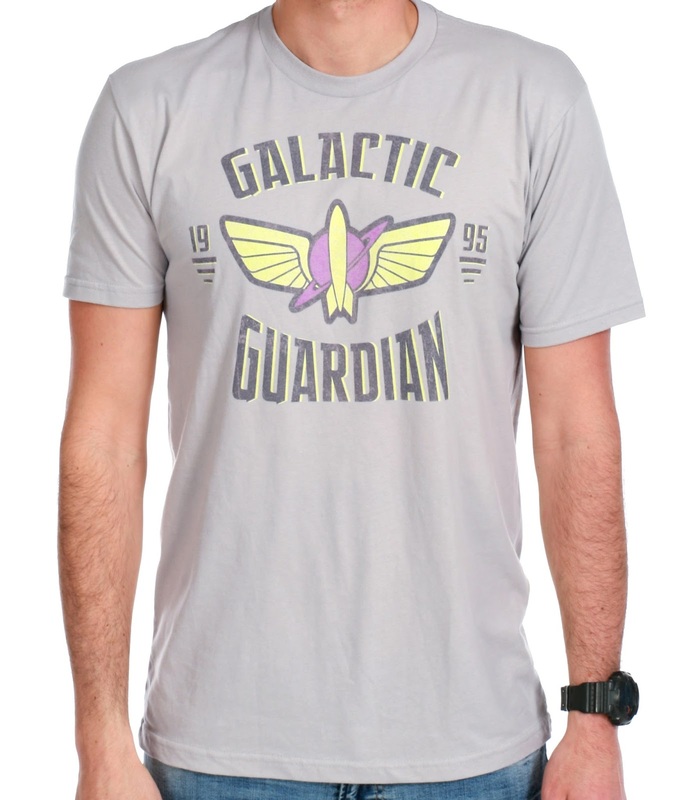 If you want to pick this up for your Disney/Pixar tee collection, you can order it online right HERE or on Amazon using the direct link below. Let me know your thoughts in the comments below!